The physical demands of tactical professions such as military, law enforcement, and fire and rescue require those workers to be in top physical condition to perform their jobs well and decrease the risk of injury. NSCA’s Essentials of Tactical Strength and Conditioning contains scientific information to assist in implementing or restructuring strength and conditioning programs at commercial or government fitness centers that work with these tactical athletes to achieve those goals. Designed primarily as a preparatory resource for the National Strength and Conditioning Association (NSCA) Tactical Strength and Conditioning Facilitator (TSAC-F) certification, the text is also useful as a manual for government agencies or a daily reference for strength and conditioning professionals. Editors Brent A. Alvar, Katie Sell, and Patricia A. Deuster have extensive experience as scholars and practitioners in their respective fields. They have assembled a team of distinguished contributors who bring to light current trends in strength and conditioning through their combined experiences as professionals in the fields of academia, athletic training, firefighting, law enforcement, military, nutrition, physical therapy, and strength and conditioning. The contributors not only provide foundational knowledge of exercise physiology and biomechanical movement patterns, but they also comprehensively review all of the components necessary for TSAC Facilitators to design and operate successful training programs for tactical athletes. Separate chapters focus on the specific physiological issues related to military, law enforcement, and fire and rescue personnel, including how a strength and conditioning program should directly correlate to their critical job tasks and the specific environmental, occupational, and exposure concerns for each population. Topics such as nutrition, supplements, injury treatment and rehabilitation, wellness interventions, and assessments and evaluations are discussed for professionals who work with tactical populations. Additionally, exercises, drills, and techniques targeting the specific needs of tactical athletes in areas such as flexibility, mobility, speed, agility, power, and aerobic endurance are described in great detail and accompanied by full-color photos. 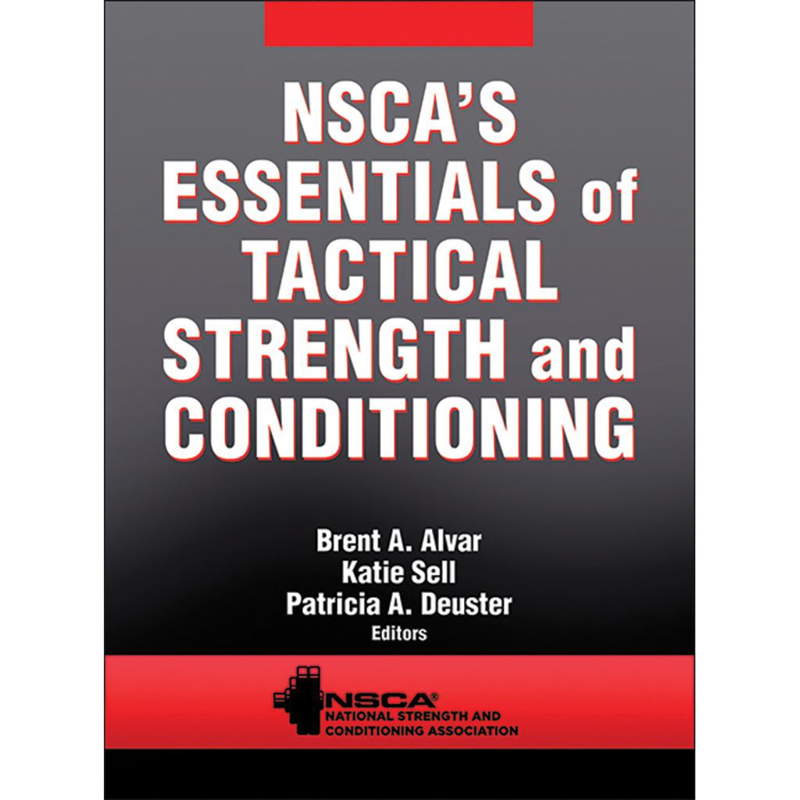 Each chapter of NSCA’s Essentials of Tactical Strength and Conditioning begins with learning objectives and incorporates key terms, diagrams, detailed photographs, and key points throughout the text to help guide readers and facilitate comprehension of concepts. Sidebars and sample programs are included in some chapters to help readers apply theoretical concepts in their professional practice. Ultimately, the goal of NSCA’s Essentials of Tactical Strength and Conditioning is to help prepare those seeking TSAC-F certification and to serve as a resource for professionals so that they can implement an optimal strength and conditioning program targeted for tactical athletes that will decrease their risk of injury and optimize performance. Acute Respiratory Responses to Exercise ? Acute Endocrine Responses to Exercise ?